« Here is a Very MERRY WOD!!!!!!! We would first like to pay graditude to all the AOWs for the 2010 year! Each and everyone of you have had a ROCKSTAR year! 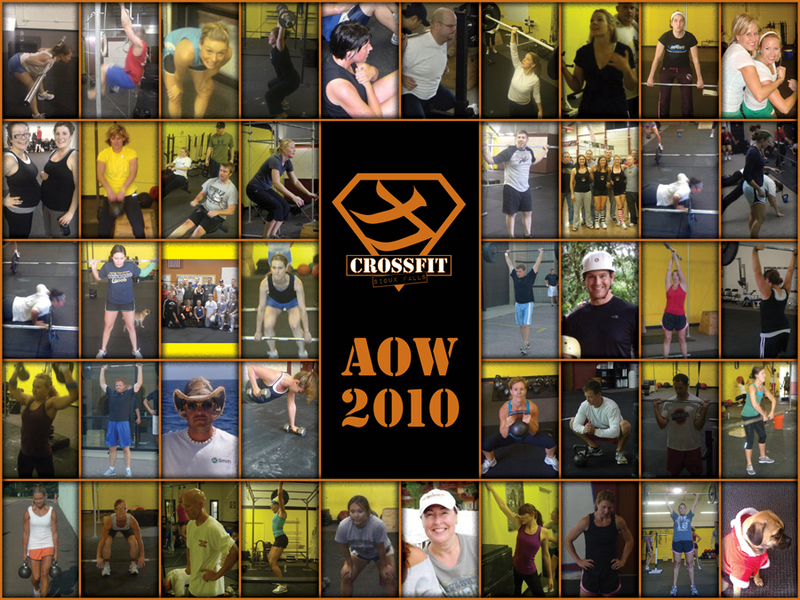 A Special Thank you to Rob S for creating the collage to recap all the AOWs for 2010! To end this year off with a BANG!…or should I say BOOM!!! All workouts this week are some of the coaches favorites of 2010. Make this week your time to test yourself and see some MAJOR improvement. This entry was posted on December 27, 2010 at 8:34 pm and is filed under CrossFit Workouts, Members. You can follow any responses to this entry through the RSS 2.0 feed. You can leave a response, or trackback from your own site. IAMUNSCARED (of the white board) !!!! Congrats to all the AOW’s of 2011…challenge yourself to be a repeat winner. Regarding the Coach’s WOD’s…so many ladies’ names to choose only one. What’s the couplet with thrusters and pullups? Can’t really remember her name. I meant 2010 in the previous post…got excited about my WOD choice! Should I really shout out that “F-Word” Browny or just tell you what most of us call her??? You wouldn’t pick that one as your coaches choice, would you? Really??? What does CF Total mean? Is it class as usual? CrossFit total is finding your 1 rep max back in back squat, press, and deadlift. Adding those three lifts up is your “total”. I agree it sounds a bit “meat head”, but it’s really cool to find where you are, and then do it again months later and actually see/feel your progress. Cool! Thanks for filling me in.